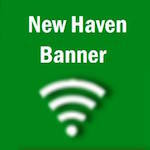 In New Haven’s past two games they have been out rebounded 64-32 and given up 104 points compared to scoring only 77. Tuesday New Haven came out firing, holding Montgomery County to only seven first half points and leading by 13 at halftime. They continued the second half right where they left off, out scoring the Wildcats 24-16 to head into Christmas break with a win. In the Lady Rock’s first seven games; Oetterer and Steinhoff both averaged 12 ppg, Rocks are 0-2 in conference play, losing to Sullivan and Owensville, outlasted Washington in a double overtime thriller, and have an overall record of 4-3. New Haven’s next game will be at home on Mon. Jan 2 against Bourbon.